Apartment for rent in Masteri Thao Dien located in 159 Hanoi Highway, Thao Dien ward, D2, HCMC. Apartment for rent in Masteri Thao Dien is fully equipped with furniture made by high quality furniture. The apartment has 1 bedroom and bathroom, an area of 45 square meters is designed reasonably create spacious living space. 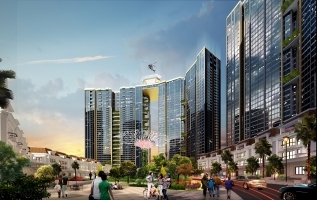 Masteri luxury condominiums located at the gold position – adjacent to the central business district of Ho Chi Minh City and is the economic gateway for trade to the neighboring province of Vung Tau, Dong Nai, Binh Duong. Apartment for rent in Masteri Thảo Điền is 800USD per month – This price not too high because thế landlord invested in the furniture is over 300.000 million VNĐ. Please contact me: 0907881877 or 0901188718 to get more detail.